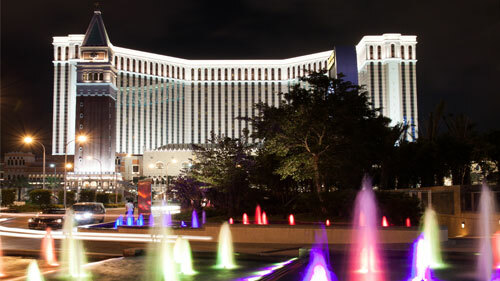 Macau is a must see destination - called "The Las Vegas of Asia"
Macau is renowned worldwide as the ‘Monte Carlo of the Orient’ and ‘Vegas of the East’, with over seven times more gaming revenues than its American counterpart and a wealth of venues in which visitors can enjoy the wonders of the city. 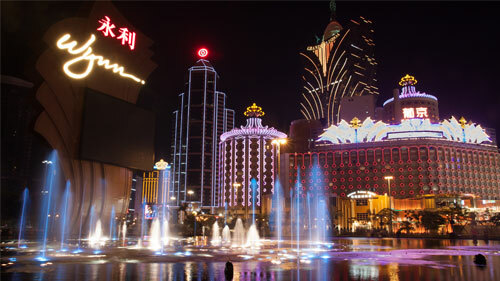 The arrival of American entertainment operators in 2004 added to the wide diversity of venues that Macau hosts, whilst contributing to the city’s stellar rise in global popularity. 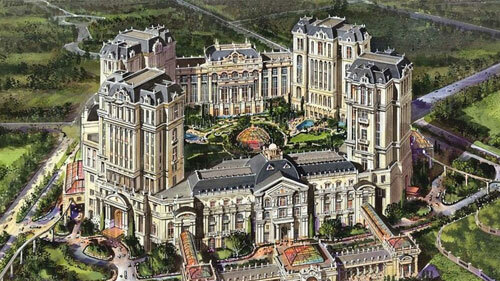 Macau has 33 casinos, of which the biggest is The Venetian Macao. 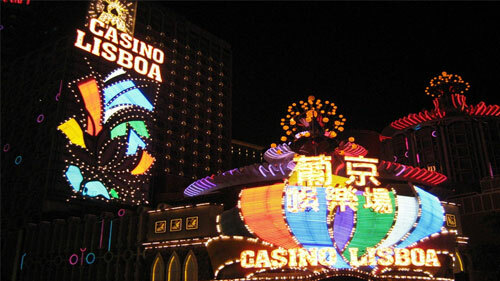 Twenty-three casinos are located on the Macau Peninsula and ten on Taipa Island. They all operate under a government franchise and under a common set of rules. 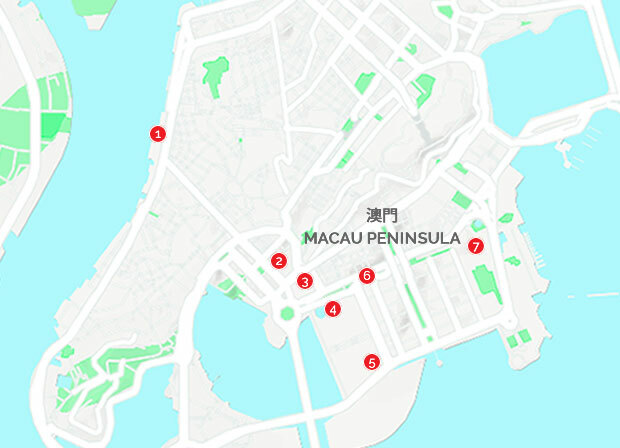 Macau Peninsula, is the older part of town and home to established resorts such as MGM Macau, Wynn Macau and Grand Lisboa. Ponte 16 is the only entertainment venue located in the cultural hub of the Inner Harbour, forming part of the ‘Historic Center of Macau’ area. Within the ornate building is Asia’s first Michael Jackson Gallery, containing legendary mementos of the singer. Ponte 16 sits on the waterfront, overlooking mainland China and the gorgeous Zhuxian Park beyond the docks. A short ferry ride crosses the distance, providing a close link between the historically distinct areas. Rooftop of Sofitel in Ponte 16 is also a must see with stunning view of the city. A part from these 3 venues above, there are sixteen smaller venues operated under SJM’s license, each with their unique aspects. The Sociedade de Jogos de Macau S.A. (SJM) was founded by the Hong Kong and Macanese business magnate Stanley Ho and is the only major entertainment provider with roots in the city. 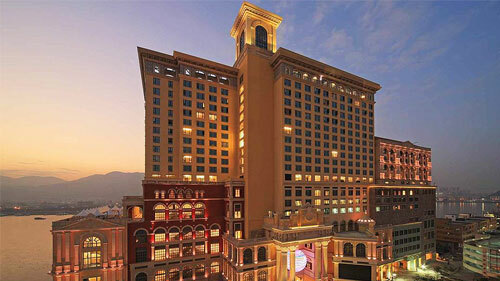 The Grande Lisboa Hotel occupies an iconic modern building in the heart of Macau, with easy access to the city’s various sights and experiences. The Hotel’s golden lotus-shaped tower is a distinctive landmark and the tallest building in Macau, rising out of a huge dome and lit a variety of colors at night. The hotel is home to Dr. Stanley Ho’s extensive private art collection, which holds a variety of dazzling and priceless pieces, including the largest colorless square cut diamond in the world – a brilliant, round-edged stone. Other notable items amongst the collection are the jade ‘The World of Bears’; a gorgeously ornate mammoth tusk carving depicting the ‘Monkey King’; the Qing Dynasty ‘Singing Bird’ and ‘Tiangong Cifu’ clocks; a Yuanmingyuan (Summer Palace) bronze horse head and many other priceless artifacts. 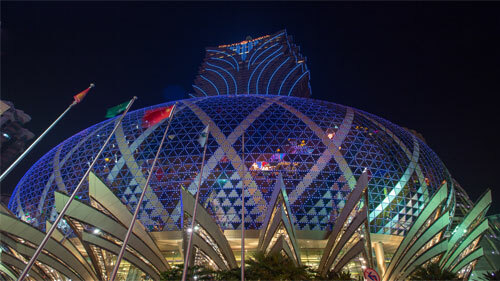 Alongside the stunning architecture, dazzling art and world class entertainment, the Grand Lisboa also boasts a wealth of restaurants to suit all tastes; it is the only venue to hold four Michelin-starred restaurants under its roof. The Hotel Lisboa, sitting across the street from the Grand Lisboa, was built in the 1970s and for decades remained the most famous entertainment venue in Asia. 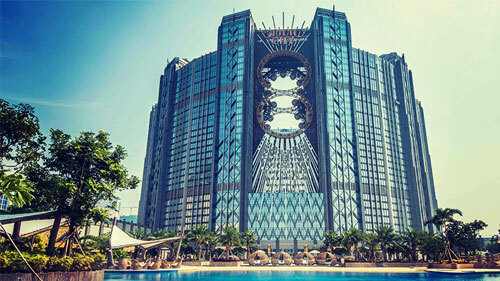 This is an iconic hotel designed like a bird cage, with the main door entrance resembling like a tiger mouth. It was Dr. Stanley Ho’s flagship venue and was referred to as a ‘City within a City’, due to the diverse and numerous forms of entertainment it houses. The Hotel is known for its distinctive Macanese architecture, blending classical Portuguese and traditional Chinese styles for a gorgeous effect and, resplendent with chandeliers and glittering mosaics inside, it remains an icon of the city, in the heart of Macau. This is also a good spot for food lovers with a total of 18 restaurants ranging from Chinese, Portuguese and international Cuisine. The Wynn Macau brings a touch of American style to the Far East, with a meticulous attention to detail and a stunning Performance Lake running shows every five minutes, all day, in front of the main entrance. Other entrances feature their own landmarks – notably the Dragon of Fortune, which combines traditional Chinese sculptural art with contemporary lighting and audio effects, sitting under a gold copula featuring the twelve animals of the Chinese Zodiac. The East entrance offers a dazzling display of light and audio technology in its representation of seasonal changes in the representation of the birth of the Prosperity Tree. The Wynn Encore Lobby also features the largest Moon Jellyfish aquarium in the world, behind the check-in desk. 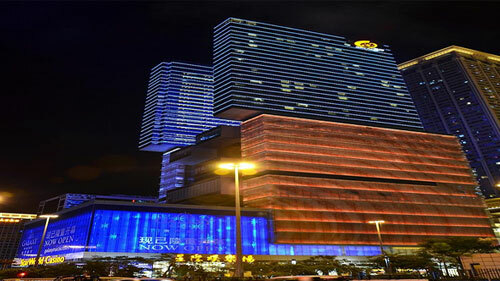 The MGM Macau, run by MGM Resorts International and occupying some prime waterfront property in the burgeoning center of the Nam Van district, offers unparalleled entertainment from a global name. The sparkling glass façade of the building reflects the changing shade and hue of the South China Sea, with the architecture of the building itself mirroring the rolling swells of the water’s waves. The building is divided into three sections, stacked atop one another, each with the distinct hue of a precious metal. MGM Macau’s atrium features cafes and restaurants inspired by Macau’s Portuguese heritage, whilst a cylindrical aquarium, standing eight meters tall, affords visitors a 360 degree view of aquatic life in the heart of the Grande Praça. A replica of Lisbon’s iconic and eye-catching Central Train Station ‘Rossio’ also sits inside, adding continental color to the venue. The MGM Atrium serves also as Art Space and has hosted works by renowned contemporary artists such as Botticelli and Joana Vasconcelos. Located in the heart of Macau’s business and entertainment hub in Macau Peninsula, just across the street from Wynn Macau and MGM. StarWorld Hotel is the tallest casino hotel in Macau. The contemporary design and modern facilities makes the hotel a shining landmark towering downtown. In terms of dining, StarWorld Macau offers five different restaurants that aim to please everybody’s tastes with a wide variety of Asian options as well as one Western spot. 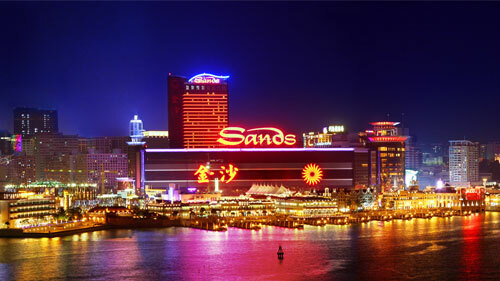 Sands Macau was the first American venue to open in MacauIt is operated by the same company that oversees the Venetian, with the same high quality standard and broad range of entertainment options. Within Sands can be found nine restaurants, an extensive bar, a luxury hotel and a world of entertainment open 24 hours a day. Visitors can spend a week in Sands, and still be finding new forms of entertainment thereafter. 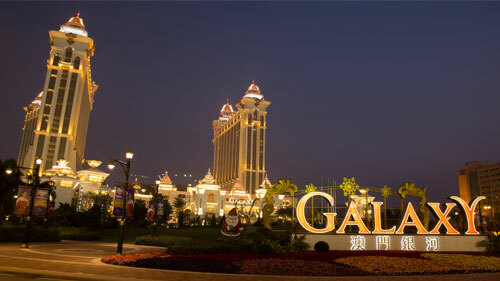 Galaxy Entertainment Macau is one of a kind, with diversions for everyone. The complex consists of six world class hotels; more than 120 restaurants, bars and lounges, including eight Michelin star venues; extensive shopping facilities; countless entertainment venues and an adventure park. The hotels housed within Galaxy include globally renowned names like Banyan Tree, Okura, The Ritz-Carlton and JW Marriott Macau, offering unparalleled luxury within a unique venue. The shopping precinct likewise offers an unbeatable choice of top quality brands, both local and global, with over two hundred shops to choose from. The Grand Resort Deck which sits in the center of the complex and features an Asian themed tropical garden; the world’s largest Skytop wave pool; a white sand beach and beach lagoons; extensive waterslides and the world’s longest skyline aquatic adventure ride, stretching 575 metres. Within the complex can be found Broadway Street, with theatre, street food restaurants and bars. 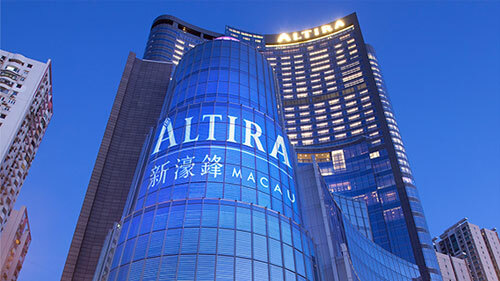 The Altira Macau is situated in the heart of Taipa, offering a world of sophistication and splendour with panoramic views of the peninsula. With 216 lavishly decorated and highly serviced guest rooms – including 24 deluxe suites and four utterly luxurious villas – spread over 38 floors, the Altira raises the bar of excellence. The interiors, conceived by the world renowned Portuguese designer Peter Remédios, provide an unparalleled blend of comfort and style, whilst the service offered is tailored to every guest’s particular needs. With world-class culinary venues throughout and the chic 38 Lounge on the top floor, offering unrivalled views over the city, visitors are bound to have an excellent Macanese experience. Studio City: The center of the complex features a figure of eight ferris wheel – the only one of its kind – rising 130 metres from the ground. Walking around studio city visitors will find extensive shopping facilities, dining venues and diverse entertainments. This is also an excellent venue for families and kids to play around with Warner Bros. fun zone and cutting edge 4D Batman dark flight simulator. Other amazing entertainment show is the House of Magic from the world famous illusionist Franz Harary performing incredible illusions and fascinating trickery. For nightlife lovers Studio city owns franchise of the legendary Ibiza club, Pacha. 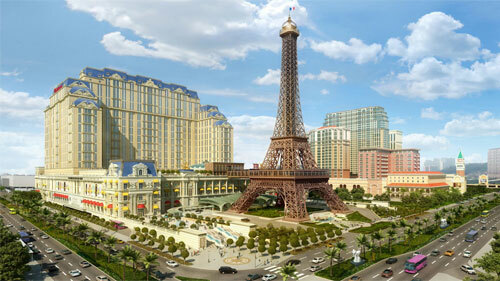 The Parisian in the Cotai Strip has a half-scale Eiffel Tower as one its landmarks. The light show at the Eiffel Tower including more than 6,600 light bulbs and 26 kilometers of electrical cabling provides an ideal backdrop for photo opportunities for visitors and guests alike. Parisian Macao has a full array of integrated facilities including hotel; more than 150 boutiques with the latest in luxury fashion designers, couture and lifestyle brands; daily entertainment from French-themed Street atmosphere characters to an eclectic mix of street artists, an abundance of magnificent dining options; as well as world class theatrical and entertainment shows in the purpose built Parisian Theatre. The Venetian Macau, “the Biggest Casino in the World”, run by the American entertainment giant Las Vegas Sands, offers world class entertainment and accommodation to suit all tastes. It is modeled on its sister resort in Las Vegas and is the largest building in Asia by floor area, as well as seventh largest worldwide. The Venetian offers over 350 designer stores and more than thirty of the best dining venues in the world, with catering facilities capable of providing a five course banquet for ten thousand diners. Winding around the building are three indoor canals, connecting to an outdoor lagoon, along which gondolas travel. Alongside these astonishing facilities, the Venetian also features some of the world’s finest entertainment facilities, with a dazzling amount of choice. 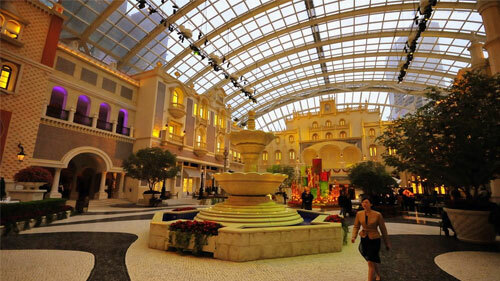 * Nearby Venetian, shopping enthusiasts will enjoy Sands Cotai central and The Plaza Macau, belonging to the same group and interconnected with air-conditioned covered bridge. These malls are also offering world class retail shops and variety of dining options. Macau’s City of Dreams offers an array of dazzling entertainment experiences, luxury accommodation, international fine dining and designer shopping under one roof. 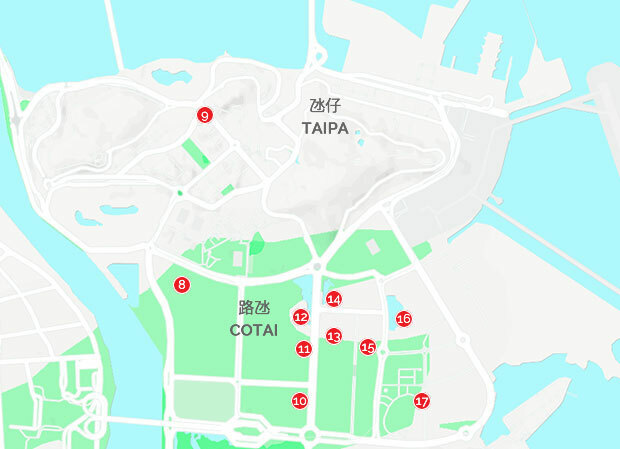 Conveniently located in the heart of Cotai, between Coloane and Taipa, City of Dreams provides everything visitors can wish for. The resort hosts a number of attractions such as the Vquarium an underwater world of marmaids, and the Dancing Water Theatre. The House of Dancing water is a unique World class performance designed by Franco Dragone and must see in Macau. There is also an amazing place for kids to play with trampolines and electronic games called Kids city. Nightclub lovers will enjoy one of the most prestigious hotspots in Asia insite City of Dreams complex: Club Cubic. MGM Cotai is designed as the “jewelry box” of Cotai, offering 1500 hotel rooms, meeting space, high end spa, retail offerings and food and beverage outlets. 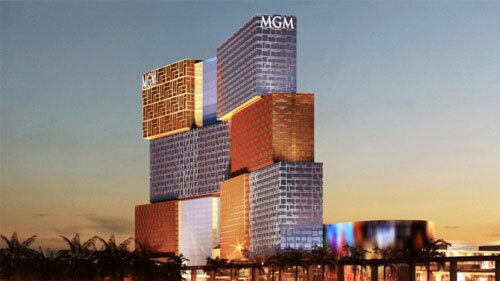 MGM COTAI will offer Asia’s first dynamic theater and a spectacle to wow every guest who steps foot in the resort. The key entertainment feature is a versatile, transformable Theater space with over 14 seating configurations, a 180 degrees immersive stage backdrop,with a screen resolution of over 26 megapixels. Wynn Palace Cotai, is the company’s first resort on the Cotai Strip and third skyscraper in Macau featuring an 8-acre performance lake, gondolas. 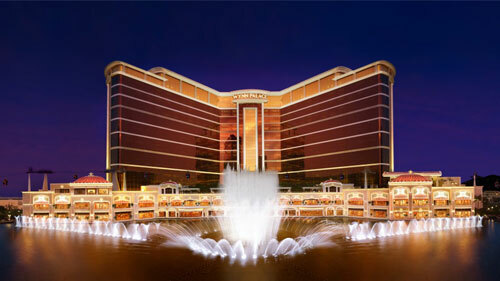 The Wynn Palace resort includes a luxury hotel, convention space, a spa and salon, and several dining restaurants. With a design “reminiscent” of the Vegas Bellagio in its use of fountains and lighting as a key attraction. The interior design theme is made with flowers and various set of 18th-century. 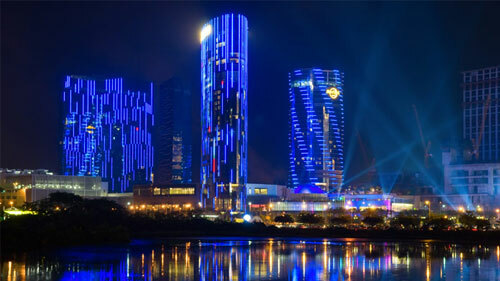 The Grand Lisboa Palace, comprised of three separate hotel towers, is the last new property opened in Cotai. The complex is styled with 18th century French architecture but with elements of chinoiserie. It includes a wedding pavilion and a summer palace. Both Donatella Versace and Karl Lagerfeld have signed on to design individual towers, including a Karl Lagerfeld Hotel and a Palazzo Versace Macau adding their brands’ signature styles to the Macau casino landscape.